Today’s camping tents offer many features that can provide a decent level of outdoor luxury. But how do you choose the right one since there are so many options? You should think about the weather conditions and the number of people you will be camping with. If you plan to spend more than a couple of days outdoor, you should factor that in as well. 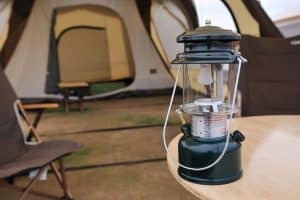 We have reviewed the best camping tents of 2018. They come in different sizes and a variety of features at reasonable prices. 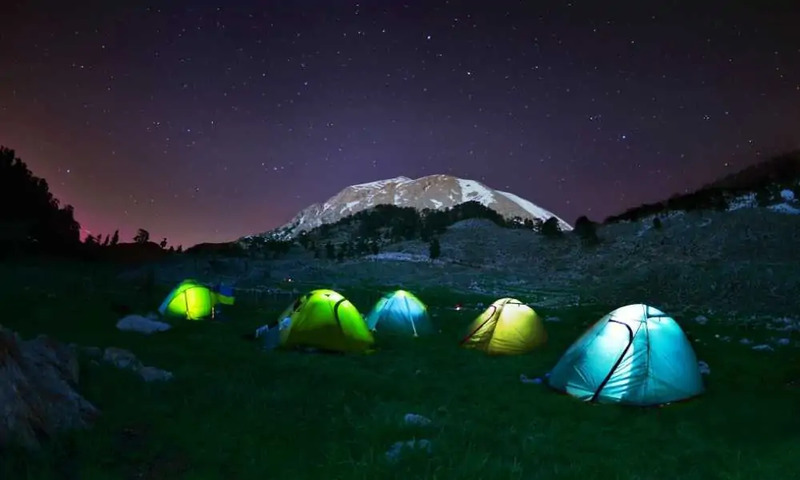 So don’t hesitate to check out our list of the top 5 camping tents. How to Insulate a Tent For Winter Camping? 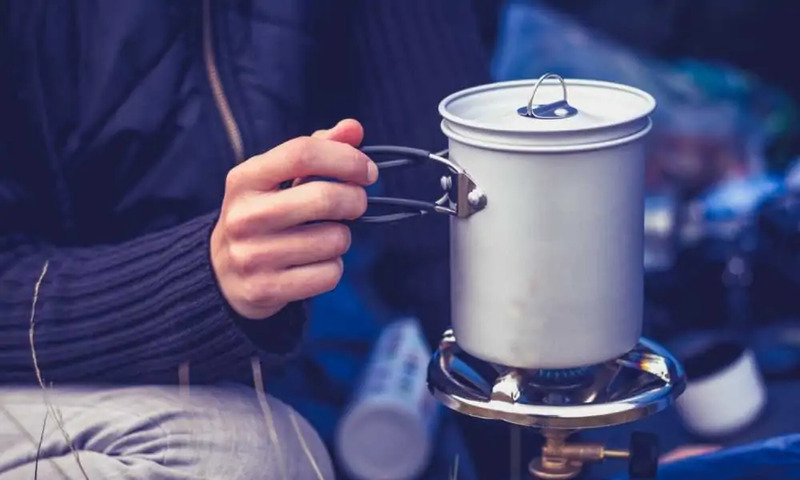 How to Stay Warm Camping In a Tent? 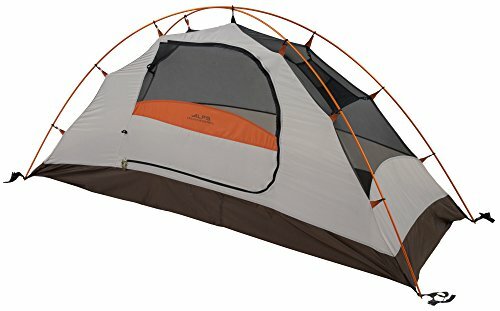 How to Make Tent Camping Comfortable? How to Clean a Camping Tent? 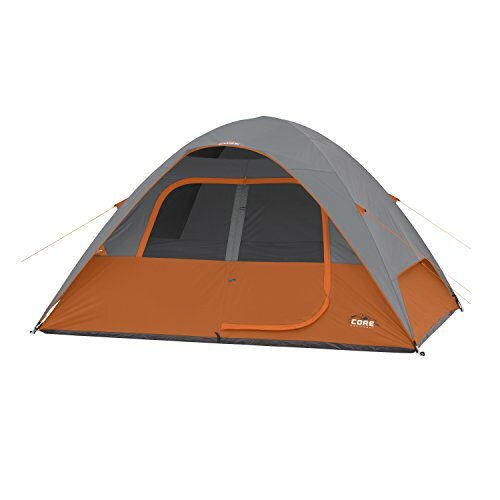 How to Buy a Tent for Camping? This camping tent comes from one of the best-known manufacturers of outdoor gear. The Coleman Instant Screenhouse offers premium-quality materials, a hassle-free setup, and durability characteristic of the company’s long history in making high-quality camping equipment. What’s more, this tent is very affordable, making it a great option even if you are on a tight budget. The Coleman Instant Screenhouse can be regarded as a rather large portable shelter. Even though this doesn’t make it ideally suited for all weather conditions, it might be a very good solution for a summer vacation. With 190 square feet of usable area, this tent can fit more than a few people if you use it as a shelter. On the other hand, this kind of real estate should allow 4, or maybe more people to sleep comfortably in the Coleman Instant Screenhouse. The central height is 7.4 feet, so we may assume it should give you ample headroom even if you are an NBA player. The 1-minute setup is one of the best features of this tent. In reality, it might take you a bit more than that to get the tent ready but it’s still one of the quickest tent setups on our list. Once you have the Coleman set up, you can easily access the inside area through its two sizable T-doors. This camping tent is made of very thick Polyguard fabric and features 50+ UVGuard with UPF sun protection. Also, these materials provide excellent protection from creepy crawlers and the wind. The Coleman Instant Screenhouse comes with a carry bag and since it weighs only 18.25 pounds you shouldn’t have any problems with transporting it. 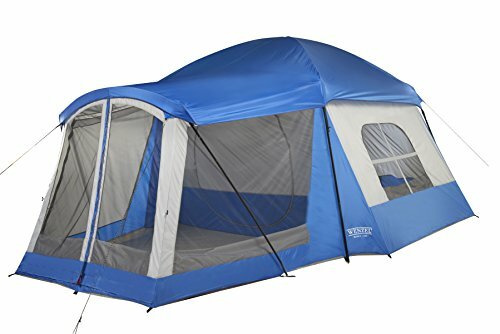 You get a lot of room at a really affordable price with this tent. The quick setup should significantly reduce the time required to have the tent ready even for novice campers. Once you get this tent up, it does a good job of protecting you and it feels sturdy and well-built overall. This tent is not really suitable for all weather conditions. The protection from the sun might not be sufficient and don’t expect to stay dry in case it suddenly starts raining. Also, the peak that is attached to the framework may perform poorly in windy conditions. Wenzel is another well-known manufacturer of camping gear. Their Klondike tent is a great solution for families or groups of campers who wish to spend their vacation in nature. It offers more than enough sleeping and storage space with a front awning that can be customized to your needs. The Wenzel Klondike tent is the biggest tent in this review. The interior space measures 98 square feet, with an additional 60 square feet in the screened front awning. This kind of real estate should be enough for up to 8 people. Five of your fellow campers can sleep in the interior space and there is room for 3 more in the awning/camping porch. The Wenzel Klondike is made of polyurethane-coated polyester fabric and is completely water resistant. The fabric is supported by a fiberglass frame with reinforced corners for enhanced wind resistance. All of the seams are lap-felled featuring dual stitching that adds extra water protection. Additionally, the critical areas like webbing and zippers received premium water repellency treatment to make them completely watertight. Also, this tent should provide you with more than enough storage for your gear and other belongings. There is a storage duffel and two hanging pockets so you can easily reach the things that you use most. The two zipped mesh windows are designed to let a lot of air in but keep the bugs away. The Wenzel Klondike is available in two colors and comes with a carry bag. It weighs only 27.3 pounds which makes it very portable, especially for a tent of this size. The Wenzel Klondike is really well-built. You won’t need to worry about rain, strong winds, or other unpredictable weather conditions. This tent can be used in all seasons except winter, which makes it versatile enough for most campers. On the other hand, the fiberglass frame gives you an optimal combination of rigidity and low weight that make the Klondike one of the most transportable large tents on our list. The top height of this tent is 6.5 feet. This may not provide enough headroom for tall people. Also, some campers might not like the fact that the warranty does not cover all weather conditions. This could be quite inconvenient since some tent elements may underperform in bad weather. As its name suggests, the ALPS Mountaineering Lynx is designed for outdoor enthusiasts who like to spend their time high above sea level. The features and overall design of this camping tent reflect the adventurous outdoor spirit it’s made to support. You get the easy assembly, great weather protection, and excellent weight-to-size ratio. The ALPS Mountaineering Lynx camping tent is designed for one person. But you shouldn’t worry about the space if you bring your child on a camping trip in this tent. The base measures 7.6 x 2.8 feet, providing a decent sleeping area even if you are very tall or if you have a small companion by your side. However, the central height is only 36 inches but you need to remember that this tent is not designed for you to stand up. You should have enough wiggle room in a sitting position. 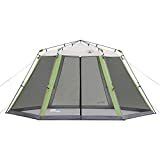 Also, there is no need to be extra nimble to enter or exit this tent since a large zippered entrance allows you to easily get in and out of the tent. The Mountaineering Lynx camping tent is made of water-resistant polyester and features UV protection. The fly and floor seams are factory sealed which adds to the overall weather protection. Also, the floor is made of polyester taffeta with a 2,000mm waterproof coating. The tent features a two-pole aluminum frame. The frame is freestanding and can be quickly disassembled and packed in its own carry bag. The ALPS also comes with a lot of storage despite its relatively small size. You get a gear loft and a few storage pockets, allowing you to immediately access the belongings you need the most. The ALPS Mountaineering Lynx offers great build quality and decent size for a 1-person tent. This tent is also very affordable with a very quick setup time and performs well under different weather conditions. These features make the ALPS Lynx a very good option both for veteran adventurers and aspiring campers. This tent is really well-built but some of the design and protective features might not perform as expected. Also, the mesh canopy might not shield you from dust or fine sand. Although this tent sports some premium characteristics, experienced mountaineers might need a more durable option. The CORE Dome Tent is probably our favorite large camping tent. It comes from one of the newest players in the outdoor gear industry, offering features comparable to some more premium and pricier brands. 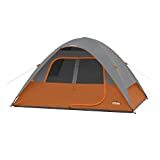 This tent should be a great inexpensive solution for families and groups of campers looking for a comfortable outdoor camping solution. The CORE Dome Tent can accommodate up to 6 people and fit, not one, but two queen-size inflatable beds. The tent base measures 11 x 9 feet, more than enough real estate for inflatable beds, sleeping bags, and other equipment. However, this tent is not very tall. 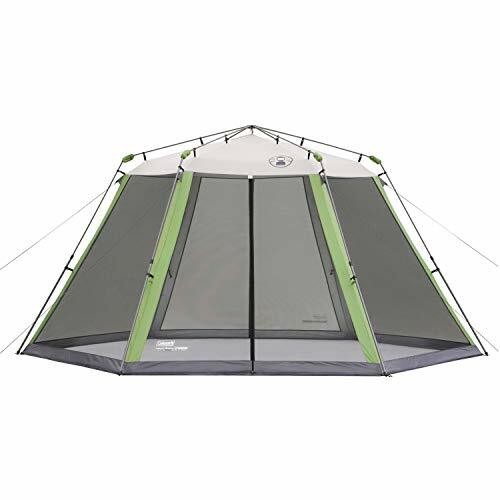 The center height is only 6 feet so you might not be able to stand up inside the tent, but other advanced features compensate for the relatively low height. The Core Dome tent is made of water-repellent fabric that features the signature Core H20 Block Technology. The active beads in the fabric allow the water to run off quickly and the tent comes with a removable taped rainfly. If you use the tent in nice weather you can open the fly and enjoy the panoramic view from the mesh ceiling and windows. But the mesh ceiling also has a function other than providing nice vistas. The ceiling works in conjunction with the adjustable vents at the bottom of the tent. The vents pull cool air from the ground and hot air escapes through the meshed ceiling on top. This smart feature allows you to have fresh air inside the tent regardless of the season or weather conditions. The Core Dome Tent comes with a gear loft featuring a lantern hook and a few pockets on the sides of the tent. The electrical port access is one thing we did not come across in other camping tents that we liked. This port access allows you to basically power up the tent and it can be fully closed when not in use. 1 YEAR LIMITED WARRANTY: We strive for total satisfaction with all of our products. This tent comes with an optimal combination of build quality, overall size, and price. The tent is also really well protected from the elements and you shouldn’t have any problems using it in any weather, except in harsh winter. It offers more than enough storage for a few campers and we especially liked the smart ventilation feature. There is very little not to like about this camping tent but it comes with a couple of downsides. The plastic hooks that come with this tent are one of its weakest links. It would be nice if they were metal. Also, the rainfly does not cover the tent all the way so you may expect some wind to come in. 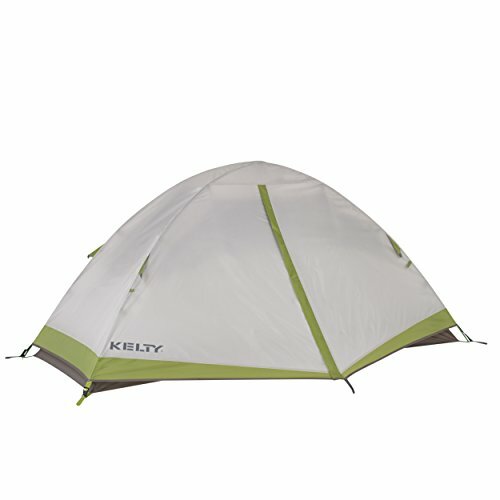 The Kelty Salida Camping Tent is probably our favorite tent for one person. It might be a bit pricier than some other single-person tents, but there are a few premium features that make this tent a worthwhile investment. The Kelty Salida Camping Tent has a similar footprint to the ALPS Mountaineering Lynx but it’s just a fraction lighter and smaller. On the other hand, this tent provides much better protection from the elements since the fly covers up the entire tent and extends all the way to the ground. The walls are made of durable polyester with insect-repellent mesh on the upper side of the walls. The floor is constructed from 70.8-inch premium nylon and all the seams have been taped. This kind of construction should provide more than enough protection from the wind, sun, and rain. The freestanding X-frame supports the tent via a single hug clip on top and multiple C clips on the sides. The C clips are designed to hold both poles and this clip design makes assembling and disassembling the tent really easy. This camping tent also comes with a few inside pockets for you to have easy access to your belongings. Also, the foldable poles make packing and transporting this tent a breeze. It comes with its carry bag but you would have to order a gear loft separately. The Kelty Salida offers a great combination of weather protection, comfort, and overall excellent build quality. This tent is very quick and easy to set up because of the smart-clip technology and you can easily fold it into your backpack. Overall it may be the best tent if you are in the market for a 1-person camping tent. Even though the side pockets offer decent storage space, it would have been nice if this tent came with a gear loft. Also, this tent has below average ventilation which could make it really hot in the summer. There are a few things you should know about before you choose the best camping tent for your outdoor adventures. Take a look at our tips on how to select the best one. Camping tents have different sleeping capacities, ranging from 1-person tents to behemoths that can accommodate 10 or more people. However, you should note that bigger tents are usually not that easy to set up and may require more than one person. If you are camping with your family, selecting a bigger tent with more sleeping or storage room inside would be a good idea. But if you are camping alone you should be looking for some other features besides the sleeping capacity. Most tents perform really well in 3 seasons – except winter. There are camping tents designed to withstand winter conditions and these 4-season tents are usually heavier and more expensive. If you choose a tent for your family holiday or occasional weekend adventures, you should look for the one that can offer decent weather and insect protection. The tent should have reinforced seams, durable mesh, and a fly that covers up the entire tent area for protection against wind and rain. Most contemporary tents are constructed from high-tech materials that are easily foldable or retractable. Also, camping tents usually come with an instruction manual that can make your job much easier. The frame ensures the stability and rigidity of your tent so you should take time to carefully put it together. Also, be careful to secure all the clips, hooks, and cords according to the setup instructions. On average it may take you between a few minutes to half an hour to set up a tent depending on its size and your experience. Camping tents come with aluminum frame though there are also fiberglass and plastic options. You should go for aluminum frame because it can offer optimal strength at a decent price. The tent body is usually made of polyester but it would be nice to get one that has a polyurethane coating. The coating gives you increased water resistance and weatherproofing. 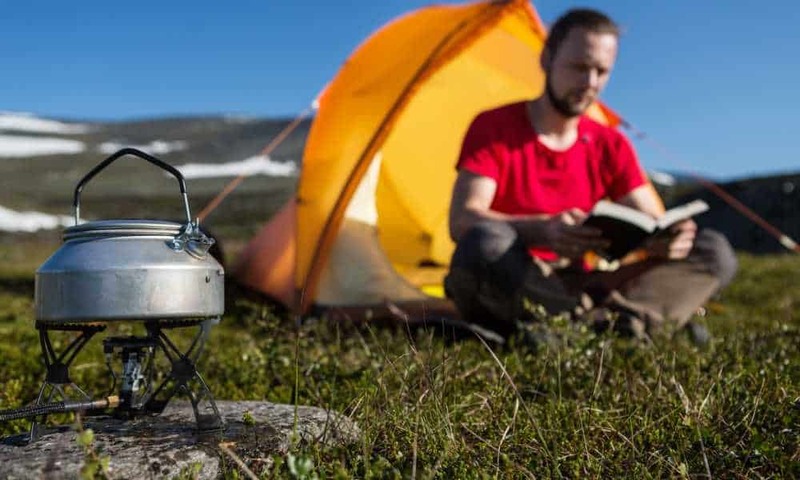 Lastly, you should look for a tent with metal rings and hooks because they often outperform the plastic ones. If you are camping in the middle of the summer, a poorly vented tent may make you feel as if in an oven. Most tents provide decent ventilation through mesh windows or top screens. However, it is advisable to look for a tent with a smart ventilation technology similar to the one in the CORE Dome Tent. This should allow for a continuous flow of air and prevent the tent from getting stuffy. Camping tent comfort largely depends on its size, the number of storage compartments, and of course the tent materials. Most tents offer reinforced flooring but it may not provide the sleeping comfort you are looking for. So you should use some padding, a sleeping bag, or you may even put an inflatable mattress inside if the tent is big enough. Having a few storage pockets or a gear loft helps you get additional wiggle room by removing your belongings from the floor. Also, you should make sure you can easily enter and exit the tent. Self-inflating mattresses are a very good and inexpensive option to get some insulation on the tent floor. If you want additional heat protection you should get double reflective insulation that can be placed throughout the tent. The easiest way to stay warm inside a camping tent is to get a decent sleeping bag and dress for the occasion. You should wear a few layers of clothing and put on a pair of socks and a cap. Having a hot water bottle doesn’t hurt either. First, you should choose a flat, shaded place to set up the tent. Get floor paddings and a few pillows and purchase a good sleeping bag. Wearing earplugs and an eye mask may also be very beneficial for your sleeping comfort. Clean the tent as soon as you come back from a camping trip. Read the maintenance recommendations to avoid any unsuitable cleaning agents or chemicals. Be careful when you clean the poles, zippers, or other sensitive areas and avoid using a pressure hose. Also, make sure your tent is fully dried before you store it. You should look for an optimal combination of size, features, portability, and durability that fits your budget and needs. The Buyer’s Guide section in our article may be of help. You shouldn’t hesitate to put in some extra cash for better quality or premium weather protection. And if you get a chance, it doesn’t hurt to test out the tent before you buy it. A good camping tent can make your outdoor adventure a pleasant and safe experience. We featured some of the best camping tents currently available that may offer premium tent camping experience at a reasonable price. But at the end of the day, the CORE Dome Tent stands out from the competition because of its excellent build quality, great weatherproofing and overall usability. However, if you are looking for a smaller tent, check out the Kelty Salida Camping Tent since we regard it as the winner in the 1-person tent category.